It's been a second since I posted in the WIP section, but I've been hard at work trying to create more interesting shapes for the land. In this one, I was going for one of those things where the land slopes upward slowly, but breaks off at one side. It reminds me a bit of the sand dunes where I grew up. The sides facing the lake where the wind came from would have much more gradual slopes, whereas the side facing away would be a bit sharper. In any case, let me know what you guys think, and if you'd like to see a full rendered version from Vue! Very well balanced terrain! I would surely like to see the rendered version too. This is very nice, I would love to see the setup for this. I kinda gave up on this project, so yeah, once my current project is finished cooking, I can see if I still have the project file for this one and post a screenshot or something for you! Unfortunately, in my great file purge of 2017 (every year or so when my storage hdd gets over half full, I'll go through and delete a bunch of old stuff to clear room), pretty much every World Machine project I had got cleared out cause I either finished it or was no longer working on it. From my memory though, I think it was a fairly simple project, advanced perlin for the base terrain, combined with an F1-F3 voronoi (with a basic perlin used as distortion) to create the steeper edges, then just a terrace (with another basic perlin for modulation), followed by an erosion, followed by thermal weathering, and then one more erosion for good measure. There may have been some more stuff, but as best as I can remember, that was the basic setup. 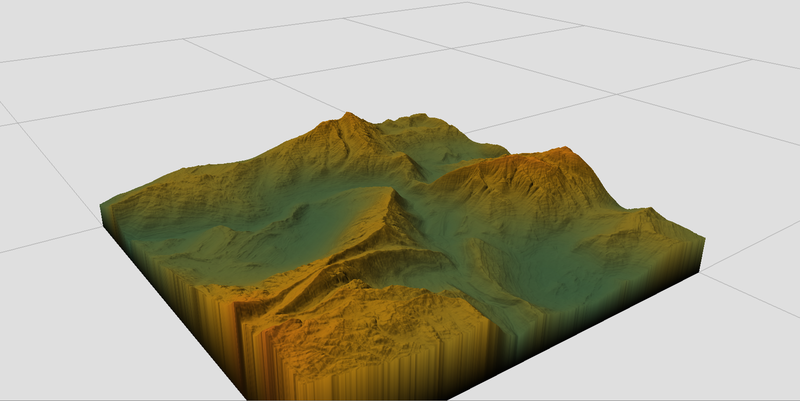 Maybe I'll revisit this idea after my current project, because I do still like the idea of this type of terrain.